Vanderbilt University’s Dance Marathon set a new record in its annual fundraising effort that benefits Monroe Carell Jr. Children’s Hospital at Vanderbilt.Dance Marathon, the largest student-led philanthropic organization on Vanderbilt’s campus, raised a record $230,099 in donations this year. The group announced the total at its annual Big Event, a 13.1-hour dance marathon, held on Feb. 20. Dance Marathon also made Vanderbilt history by raising more money than any other student-led philanthropic organization on campus. The group received 2,286 donations, which will be used to fund a research fellow in the Neonatal Intensive Care Unit at Children’s Hospital. The fundraiser also contributes to the hospital’s Growing to New Heights Campaign, which supports the four-floor expansion atop the existing Children’s Hospital structure. 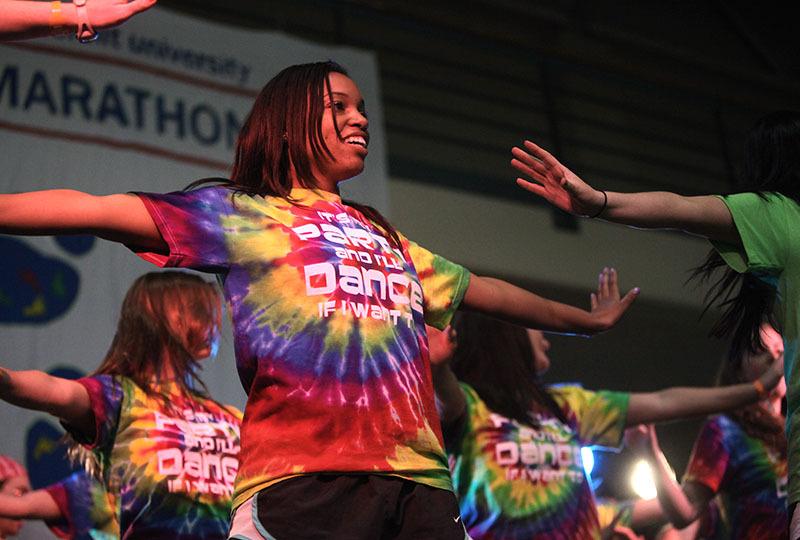 Since 2003, Dance Marathon has raised more than $1.6 million for Children’s Hospital while encouraging the campus to get into the spirit of the event. The organization engages in yearlong fundraising efforts that culminate in the 13.1-hour event attracting more than 1,000 participants each year.